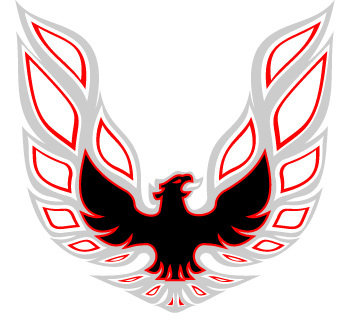 This is a self-adhesive, die cut 1973-78 Trans Am Silver/Black/Red aftermarket vinyl DECAL. Hood Bird 45.5" wide x 44.5" high decal is pre-masked and ready to install in one piece. Easy, detailed installation instructions and squeegee included.